A recent picture of Bahrain MOI masked thugs at a checkpoint. 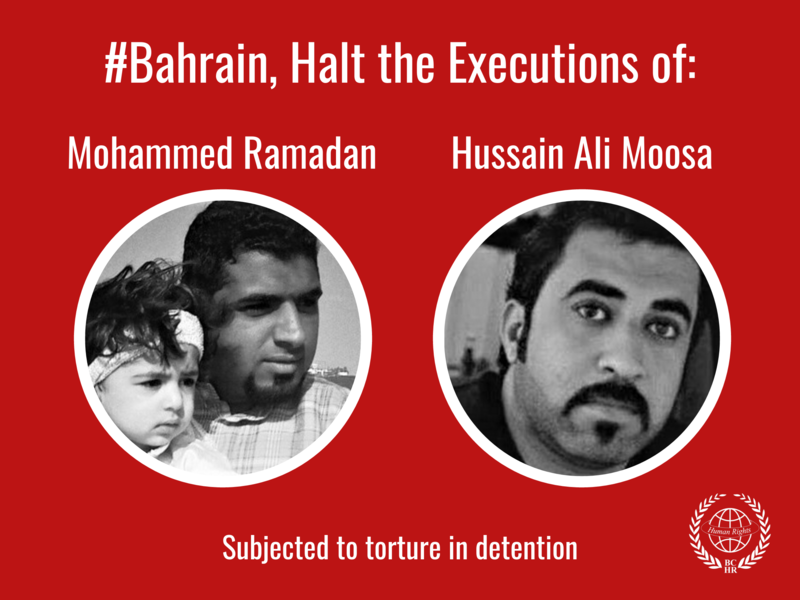 Bahrain authorities continue its repression campaigns against the participants of the democracy and freedom movement for more than 16 months. BCHR has documented numerous of violations against women by security forces in Bahrain and most recently is the arrest of Fakhreya Ahmed and Layla Issa Radhi who got arrested from a checkpoint. Fakhreya Ahmed is the aunt of the martyr Ahmed Ismail, who was killed by security forces on 31 March,2012 with live bullet. Riot police have raided her house on 3rd June,2012 on the impact of false and malicious news stating that Fakhreya is conniving wanted young men in her house, which was besieged and not allowing anyone to approach it, raided and broke to doors without showing a searching warrant. After raiding the house and not finding any of the presumed wanted, riot police arrested everyone except the children and the Fakhreya's 40 days old baby. Moreover, the house remained besieged for two days, no one was allowed to get in or out of the house. The MOI has remained silent and did not stated anything about raiding the house and arresting the family.₁ Fakhreya Ahmed was transferred to the public prosecution after investigating and threatening her to deport her husband -Akhtar Ajaweed, Pakistani- to Pakistan if she did not confess that she has kept the wanted in her house and her nephew is the one who brought them. On the next day, riot police have raided the house again with Fakhreya and her husband to film the house and accuse them with possessing explosives. Fakhreya is still behind bars till date and surrounded with ambiguity and extreme reservation from the Ministry of Interior, which refuse to reveal the details of arresting her and her husband, and besieging the house for several days. The center has met the Family and documented the case. BCHR has met the family of the detainee, Layla Issa Radhi, 42, to document her case. On 11 July,2012, Wednesday, Layla was arrested from Demistan checkpoint for insulting a police officer. The prosecution stated " The suspect, who was driving her car in Demistan, refused to respond to the officers’ request to stop at the checkpoint and show her identity documents, ran away and insulted them more than once, using obscene words. She was later arrested and the Public Prosecution accused her of insulting public officials on duty according to the Panel code article 365/1-2 and remanded her in custody pending investigation. She will be produced in the Lower Criminal Court" while Layla denies the charges against her. Basel, son of the detainee Layla Issa Radhi said that the officers allowed his mother to pass and then began to follow them and surrounded the car to provoke Layla and her son who was with her at that time. Layla has mention in the investigation that she did not understand the language the police officer was speaking - Asian- who's located at the checkpoint and does not speak Arabic. The court has sentenced Layla to one month imprisonment without appointing a defense lawyer, this is a clear violation to the International Covenant on Civil and Political Rights Article 14-3-b, which states " In the determination of any criminal charge against him, everyone shall be entitled to the following minimum guarantees, in full equality to have adequate time and facilities for the preparation of his defense and to communicate with counsel of his own choosing." Zahra Masuad, Layla's lawyer said " The court rejected my request for hearing which I applied on 19th July that includes a request to release Layla who I met by accident in the court's lobby." It's noted that almost all the checkpoints which were placed on March 2011, during the state of emergency still exist in many areas, especially the areas with Shitte majority. Also, more checkpoints are being set up on an irregular basis, the center has received many complains about insulting and abusing citizens at these checkpoints. 1 - Stop all forms of violations against the people of Bahrain, particularly women. Emphasizing on the international community especially United Nations bodies and the Human Rights Council to protect human rights. 2 - Release the detainees, Layla and Fakhreya unconditionally. 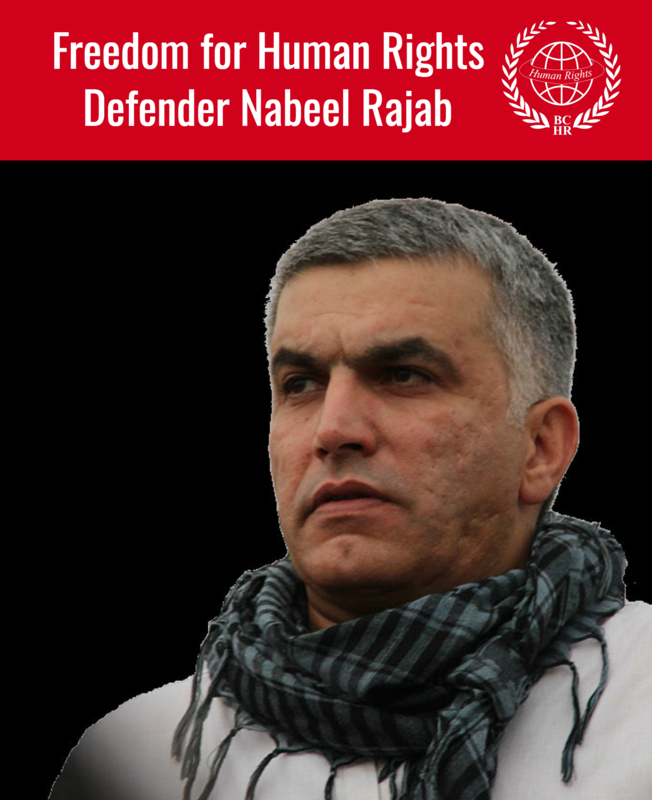 3 - Commitment to international conventions that have been signed and ratified by the authorities in Bahrain, particularly those that ensure that the accused gets a fair trial.